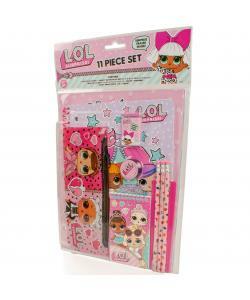 Get creative, LOL style, with this great 11 piece stationery set. 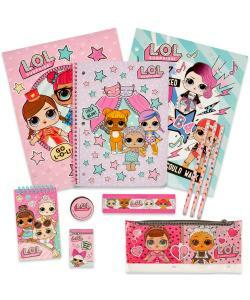 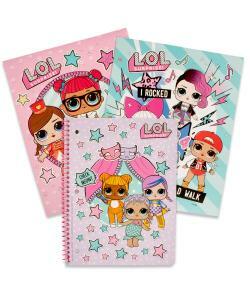 Also includes a surprise pencil eraser - which LOL will you get? 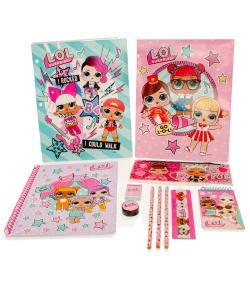 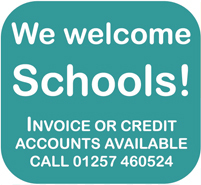 Set Includes: large 40 sheet spiral notebook, pencil case, 2 x A4 portfolio folders, spiral 25 sheet memo pad, pencil eraser, pencil sharpener, ruler and 3 x eraser topped pencils. 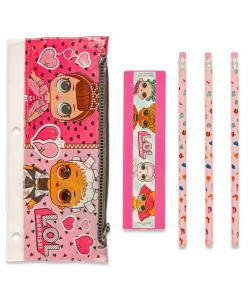 Whether it's doodling, sketching or homework, this set has it all, and it all comes in super cute LOL Surprise styling.